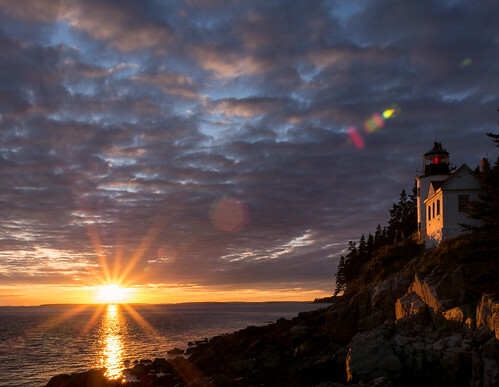 The sun sets over Bass Harbor, ME, near the Acadia National Forest. It's a ridiculously photogenic location, and several other photographers were there with their tripods set up to catch the scene. Thanks to Larry White for suggesting the location! (Note: this is not an HDR shot -- it's a single exposure with a little selective dodging and burning in Lightroom. A polarizing filter helped boost the color saturation).